Fondation Enfant Jésus (FEJ) has been recognized as a top-tier child welfare institution in Haiti by Institut du Bien-Être Social et de la Recherche (IBESR). Child protection is our primary focus. FEJ believes that every abandoned or orphaned child deserves a loving home with parents who provide care, education, and security. Many of the children in our care have had a difficult start in life. Our programs provide the children with holistic services to meet their growing needs, including their physical development, health, education, and socioemotional well-being. FEJ strives to be the bridge that ensures every child has access to a new beginning and the opportunity to fulfill his/her potential. FEJ is dedicated to saving and improving the lives of Haitian children in need. We want every child to understand that s/he is appreciated and deserves to be loved and cherished. We believe that our children have great potential to achieve their goals in life. Every child is an ambassador for Haiti. Our vision is to provide a future filled with hope to orphaned or abandoned children in Haiti. We find loving families for our children - and not children for families. FEJ feels strongly that institutional settings do not provide the same level of support for children’s cognitive, socioemotional, and physical development that a family does. As a result, we seek, first, to reunite children with their own families, and if that is not possible, we work with national and international adoption agencies to place them in homes where they will be nurtured and loved. For those children who are not fortunate enough to be adopted, we provide love, character development, schooling, and opportunities to learn valuable skills that will enable them to become self-sufficient and to positively contribute to Haitian culture and society. Children: FEJ provides for the immediate health and emotional needs of the children at the center in Port au Prince and the crèche in Kenscoff. Our children live in a stable environment with a routine, balanced meals, and enrichment activities, which enable them to feel loved and secure. Staff: FEJ staff is a multidisciplinary group of professionals employed to meet individual and collective needs of children. FEJ hires locally and provides training and professional development to ensure the highest quality of service delivery. Community: FEJ continues to work to improve the development of surrounding villages, including programs that support nutrition, education, empowerment of women, and micro-business development. FEJ operates two children's centers, or short-term orphanages. The first, named the William Jefferson Clinton Children’s Center, is being built in partnership with the U.S. Green Building Council. The center will provide immediate shelter, rehydration, and advanced medical care for infants as well as assessment of eligibility for adoption. 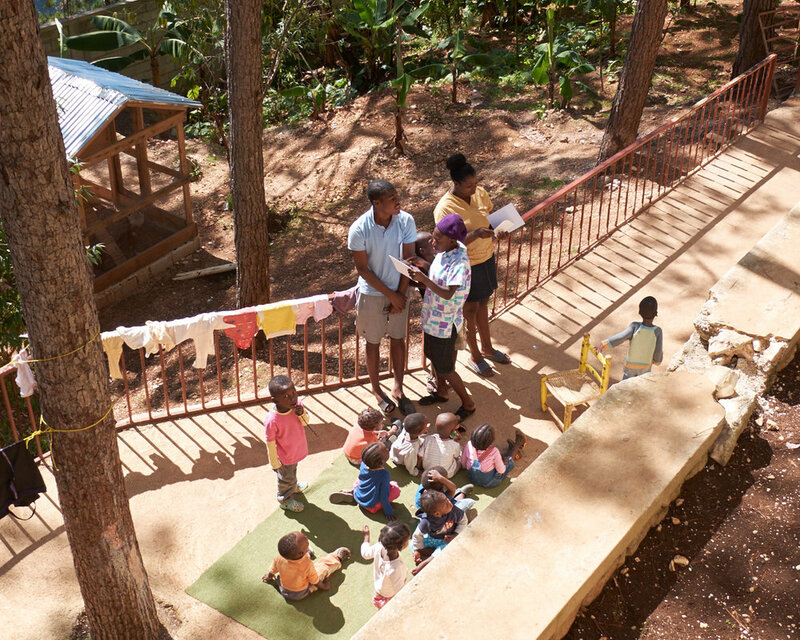 The 7,500 square foot facility will operate off the grid as the first LEED-certified orphanage in Haiti. It will serve approximately 25 infants per month and will replace our transitional orphanage that was destroyed by the 2010 earthquake. 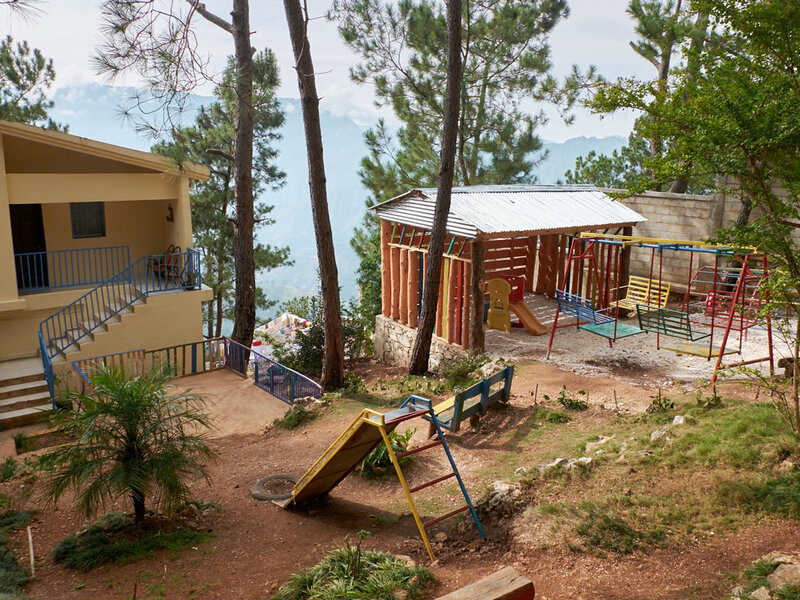 The second center, Crèche Enfant Jesus, is located in Obléon, Kenscoff in the mountains of Haiti. The facility is spacious, comfortably accommodating many children and providing the necessary care. 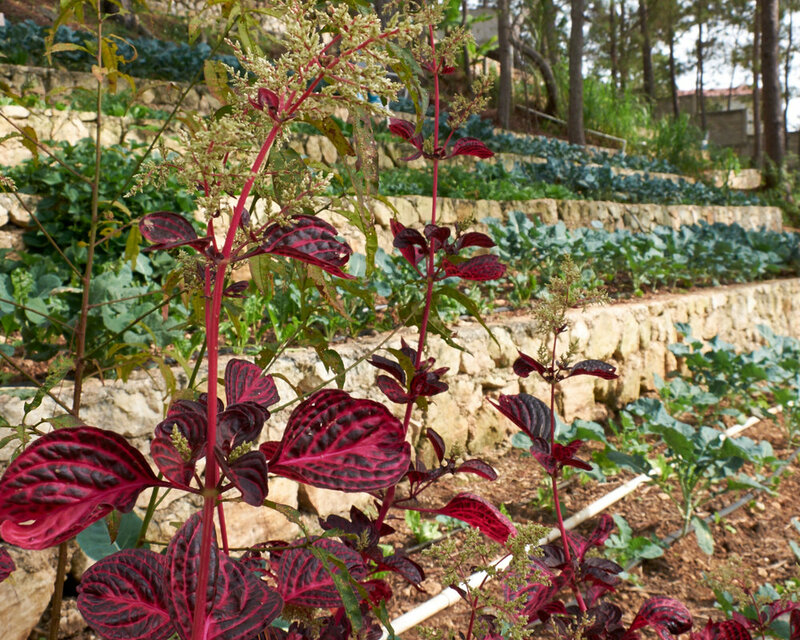 It includes recreational areas for toddlers and older children as well as dedicated land for growing nutritious fruits and vegetables and raising small farm animals for consumption. Both sites operate primarily through individuals who are hired and trained locally. Most of the construction and maintenance staff also come from the villages, thus creating jobs and new skills for local Haitians. FEJ also established a structure for volunteers, including caregivers, doctors and technicians, who offer their time and talent to enhance the health care, socioemotional support, and recreation the children receive. Crèche Enfant Jesus provides care for newborns, infants, and children up to the age of six who have been neglected, abandoned or orphaned. Our children are supported by international standards of care that define a certain quality of life. FEJ also creates a life plan for every child. After the legal deadline and a review of the child’s life plan, the child is placed for integration into a family locally or internationally. Potential new parents must meet the requirements of Haitian law, international adoption laws, and the laws of their own country. IBESR will match an adoptive family to the child once all criteria have been met.